Zumba fitness programs are an effective, easy-to-follow, full-body, dance workout. As a matter of fact, more and more people are vouching for the results it has in burning calories. When you join Zumba fitness classes in North Attleboro, MA, you will join a group of fitness enthusiasts who want to lose weight and stay in shape in a fun and fulfilling way. Zumba class lasts about an hour, and consists of a combination of different Latin American dance styles. When you join Zumba fitness classes in North Attleboro, MA, you will be joining a group of fitness enthusiasts who also want to lose weight and stay in shape but in a fun and more fulfilling way. 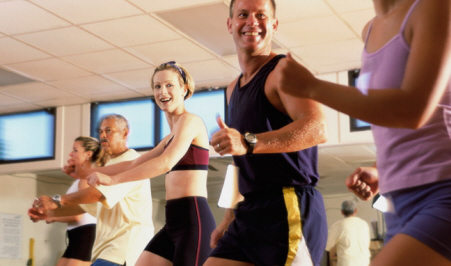 The Zumba class usually lasts about an hour but you will get so engaged you won't even mind the time. As with any exercise class, the Zumba fitness classes instructor will be able to customize the routine for stronger aerobic and muscular workout. As your body moves in Zumba, your heart will get pumping, your muscles flexing, and your calories will be burning as your metabolic rate increases for faster and better weight loss results.